On 24 August 2002, the Post Office of Moldova (Poșta Moldovei) issued a series of postage stamps with the title Eminent Personalities. The issue comprises six stamps, with associated cancellation (postmark) and first day cover (FDC). The designer was Alexei Colabneac. The printing was performed by Bundesdruckerei, Germany. 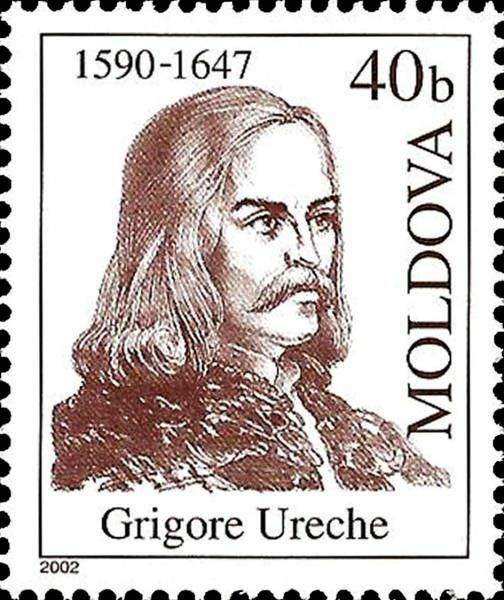 Grigore Ureche (Romanian pronunciation: [ɡriˈɡore uˈreke]; 1590–1647) was a Moldavian chronicler who wrote on Moldavian history in his Letopiseţul Ţării Moldovei (The Chronicles of the land of Moldavia), covering the period from 1359 to 1594. Read more.. This article uses material from the Wikipedia article 'Grigore_Ureche', which is released under the Creative Commons Attribution-Share-Alike License 3.0. 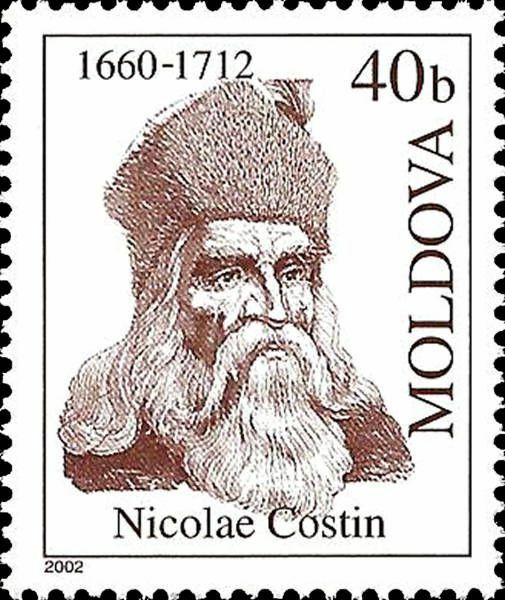 Nicolae Costin (1660–1712) was a Moldavian chronicler. Read more.. This article uses material from the Wikipedia article 'Nicolae_Costin_%28chronicler%29', which is released under the Creative Commons Attribution-Share-Alike License 3.0. 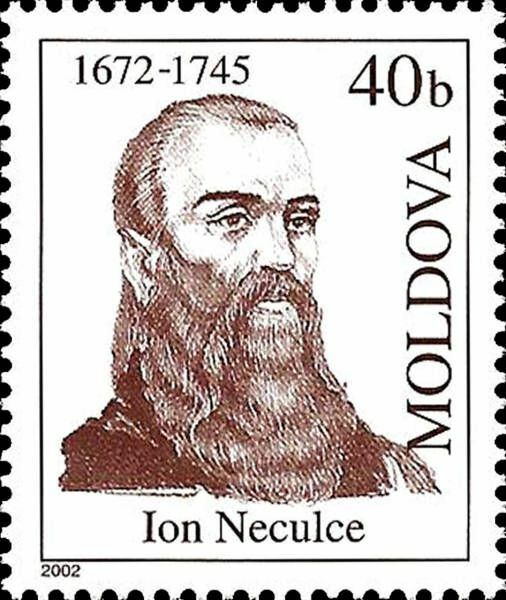 Ion Neculce (1672–1745) was a Moldavian chronicler. His main work, Letopiseţul Ţărâi Moldovei [de la Dabija Vodă până la a doua domnie a lui Constantin Mavrocordat] (The Chronicles of the land of Moldavia [from the rule of Dabija Vodă to the second rule of Constantin Mavrocordat) was meant to extend Ion Neculce's narrative, covering events from 1661 to 1743. Read more.. This article uses material from the Wikipedia article 'Ion_Neculce', which is released under the Creative Commons Attribution-Share-Alike License 3.0. 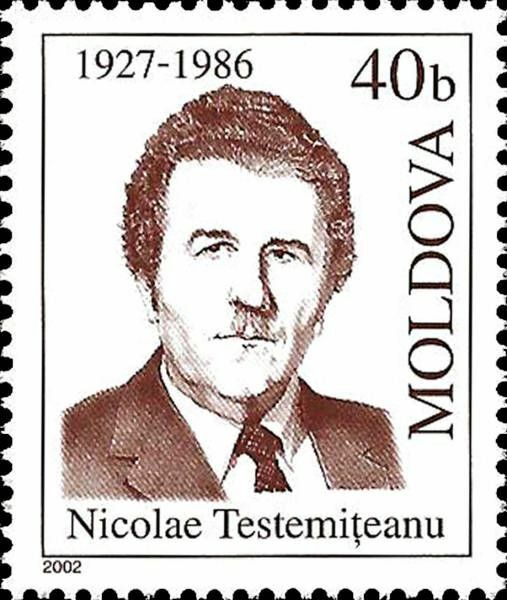 Nicolae Testemiţanu (1 August 1927 Ochiul Alb, Drochia district – September 20, 1986) was a Moldovan scientist, surgeon, hygienist, and politician. Read more.. This article uses material from the Wikipedia article 'Nicolae_Testemi%C5%A3anu', which is released under the Creative Commons Attribution-Share-Alike License 3.0. 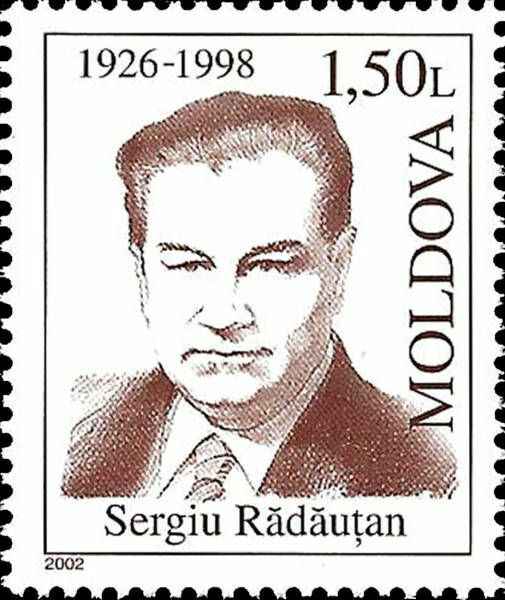 Sergiu Radautan (1926 - 1998) was a Moldovan physicist. He was a member of Moldovan Academy of Sciences and professor at the State Technical University in Chişinău (now named for him). Read more.. This article uses material from the Wikipedia article 'Sergiu_R%C4%83d%C4%83u%C5%A3an', which is released under the Creative Commons Attribution-Share-Alike License 3.0. 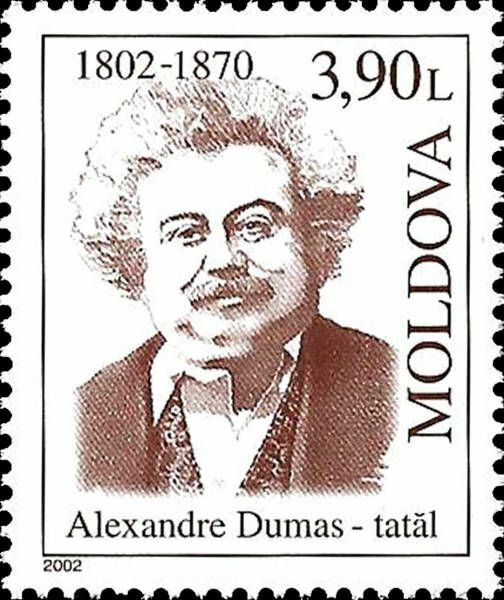 Alexandre Dumas (French: [a.lɛk.sɑ̃dʁ dy.ma], born Dumas Davy de la Pailleterie, [dy.ma da.vi də la pa.jə.tʁi]; 24 July 1802 – 5 December 1870), also known as Alexandre Dumas, père, was a French writer, best known for his historical novels of high adventure. Translated into nearly 100 languages, these have made him one of the most widely read French authors in history. Many of his novels, including The Count of Monte Cristo, The Three Musketeers, Twenty Years After, and The Vicomte de Bragelonne: Ten Years Later were originally published as serials. His novels have been adapted since the early twentieth century for nearly 200 films. Dumas' last novel, The Knight of Sainte-Hermine, unfinished at his death, was completed by a scholar and published in 2005, becoming a bestseller. It was published in English in 2008 as The Last Cavalier. Read more.. This article uses material from the Wikipedia article 'Alexandre_Dumas', which is released under the Creative Commons Attribution-Share-Alike License 3.0.